I know I'm a bit late on the Glossybox unveiling this time around, (deadlines and going home for christmas isnt a fun combo), but I was so pleased with what I got in this months box that I still want to share my thoughts about it! I'm sure you've all seen pictures of the special box already, bright red and patent with a little gold sticker to seal the tissue paper, rather than the usual matte baby pink offering, which made a nice festive change. 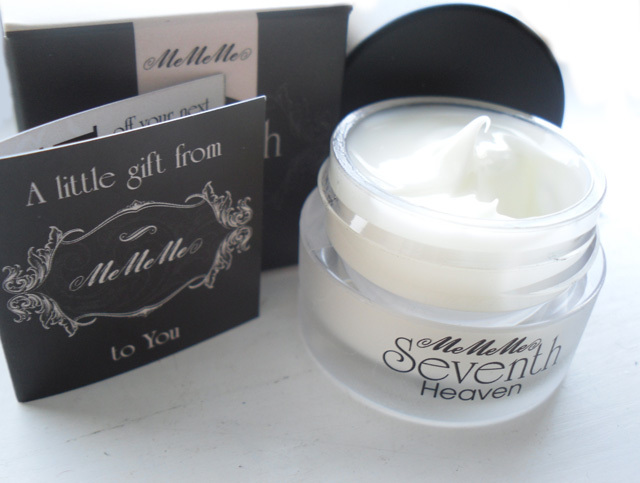 I really cant decide which is my favourite product this month, but the MeMeMe face cream sample is a strong contender. It smells really fruity which makes a nice change from the floral scents that facial products tend to stick to. It's extremely moisturising but in an interesting way, feeling thick yet matte as it dries into the skin. I normally dont bother with a primer as I've never found one I consider to be effective, but I've found this to be a really perfect base for my Bourjois Healthy Mix foundation. The Rituals shower gel was the first thing I spotted due to its absolutely huge full size. It's a really beautiful and unusual product as it has the consistency of shaving foam, starting as a gel and foaming up as you activate it. I got the Mandarin and Mint flavour which I absolutely love, it's really refreshing but not too sharp like a lot of shower gels tend to be. 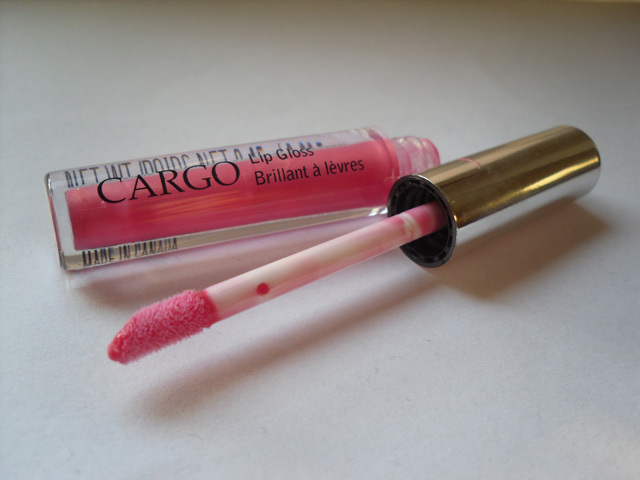 The Cargo lipgloss is nice but a bit bland compared to the other exciting bits this month, but its nice to have some actual makeup included rather than just facial products. It is a pretty shade of pink though, and quite pigmented. I just tend not to wear lipgloss because I HATE when your hair gets stuck to your mouth, and I have a bit of an uncontrollable mane. 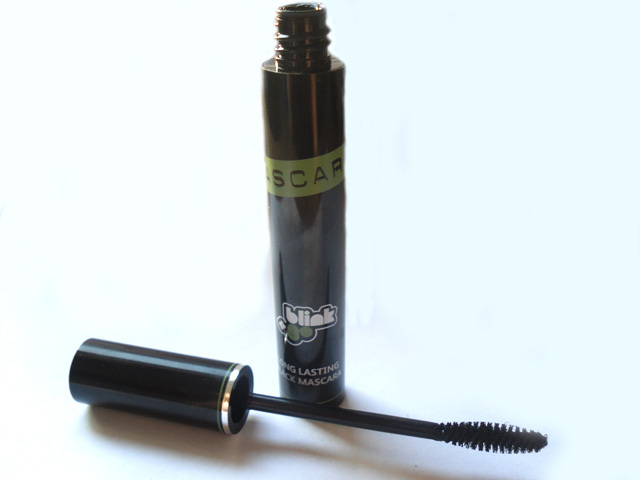 The Blink + Go Mascara is UNBELIEVABLE, and probably the best mascara I've ever used. I've worn it every day since I got it, and I'm still surprised when I look in the mirror and see how long my lashes look, they actually look like I've got falsies on! One thing I could say against it is that it's very hard to take off, and an oily cleanser is definitely an essential alongside it. I recommend the Shu Uemura Oil Cleanser which I reviewed a couple of posts ago. 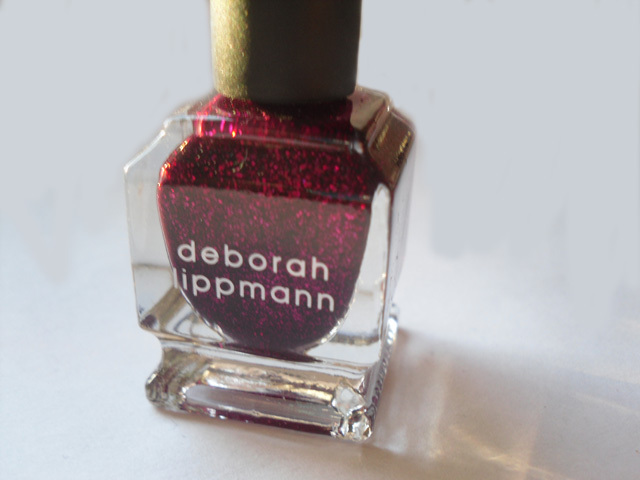 Finally is the beautiful Deborah Lippman Razzle Dazzle glitter nail varnish. 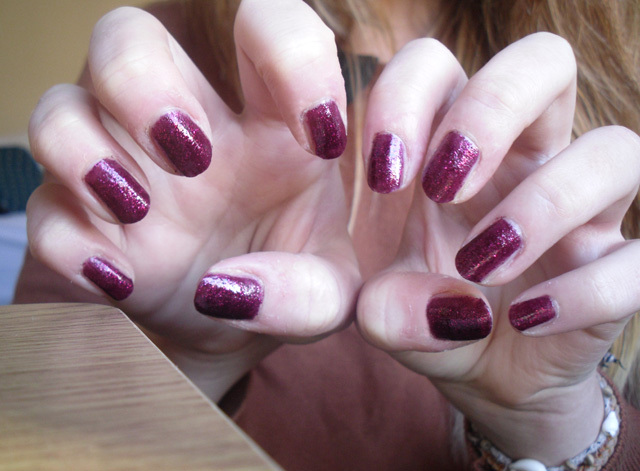 This is the absolute epitome of a festive nail polish, the perfect Christmas colour. I've had it on for three days now with a clear top coat and its yet to chip so Im very impressed. Definitely the best box I've received so far from Glossybox, but I am unsubscribing in the new year because I cant really justify the £12 a month on the student budget I struggle with anymore. However I will definitely be keeping an eye on what everyone receives, so if there's a particularly good month, I'll be in there and subscribing again! What did you get in your box this month? Were you as pleased with yours as me? I liked the look of the eyeshadow/blush palettes! you got the same products as myself apart from a different shade of the cargo lipgloss! Oooh I love the look of that mascara-not sure if I'd rather that or the eyeshadow compact! I love the colour of the nail varnish you got in this! The moisturiser looks lovely and creamy too. And Christmas and deadlines are definitely not a good combination! I'm with you on the lipgloss, I can't cope when it sticks to my hair!